"How do you fit everything into your day?" People email me asking this question all of the time. We even recently had a conversation about it over on our Toddler Approved Facebook page. I am always working to get a little bit more organized and focused. 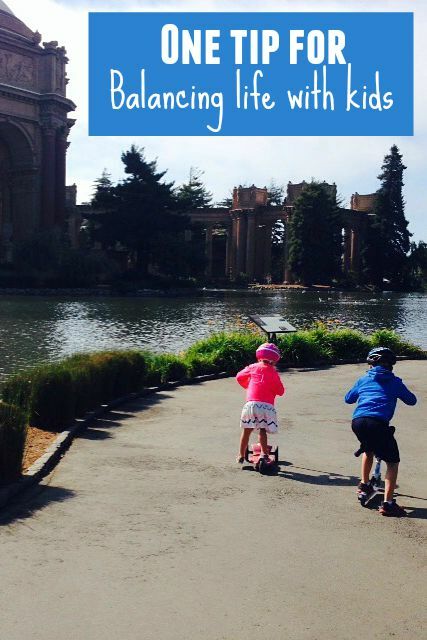 Today I want to share one tip that I've found very useful for balancing life with kids! I am not an expert in balancing, but I definitely manage to get a lot done during the course of one day. One tip I learned several years ago at a leadership conference was to practice the art of selective neglect. I have no idea if I do it correctly based on how experts recommend you practice selective neglect... but I basically try my best to consciously focus on doing a few things each day and neglecting a few things each day. I try to avoid neglecting the same thing two days in a row... but instead I try and rotate the things that I am neglecting! With three kids (and another on the way) plus a husband, church responsibilities, school responsibilities, blogging /work responsibilities, household responsibilities, etc. I would literally drive myself crazy trying to fit everything in every day that everyone needed. Selective neglect does require you to live with imperfection at times... but it definitely keeps me sane. I love to intentionally set goals each night right before I go to bed and list the top few things I need to accomplish the following day that are THE MOST important things and then I decide on the things I am going to neglect that day. Once I have intentionally planned out the most important things then it is much easier for me to get rid of nagging or distracting thoughts about smaller less important things that I need to get done. I am able to shelve them in my brain for another day... or for once the most important things are done. By letting go of the less important things I let go of a lot of stress. By selectively neglecting certain things to focus more attention on other more important things you can actually do a better job at one or two things versus doing a poor or mediocre job trying to juggle many things. I never neglect my kids, but I definitely might neglect laundry for a day... or sometimes sleep doesn't get to be the priority it should. It might surprise you to know that we don't do crafts and activities all day every day at my house... in fact, some days we don't do any. Some afternoons I turn on Netflix and the kids watch a movie while I pull out everything from a cupboard and organize it... or I clean the entire kitchen top to bottom... or I finish up a writing deadline for the blog. Sometimes I organize and do laundry and the kids just run around and jump in my piles. I chat with them and take breaks to read books with them... but every ounce of our day isn't dedicated to being together having fun and playing. I think it is important for them to see me working and doing jobs around our house (or serving others outside of our house) and to learn to help out. 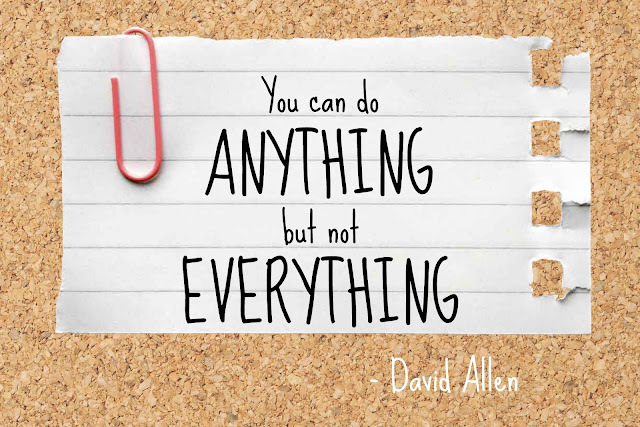 I love the quote by David Allen that says, "You can do anything, but not everything." Obviously my one tip doesn't work all of the time and there are periods in life that are just crazy busy and there aren't very many things you can neglect... but in most cases there are a few things every day that you can and should neglect and LET GO OF so that you can have a more enjoyable and stress free day! Alright, your turn now, how do you fit everything into your day? 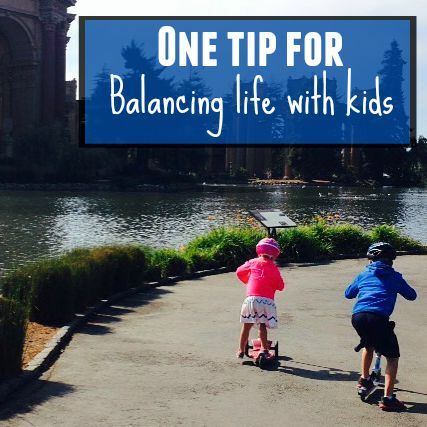 Do you have a tip for keeping things balanced? Check out more ideas over on our Toddler Approved Facebook page. I love that tip! In a way I do that, but I never realized there was a name for it. I also have a schedule that I stick to, and when setting up that schedule I try to make sure there is a balance between all of the different priorities and commitments I have.